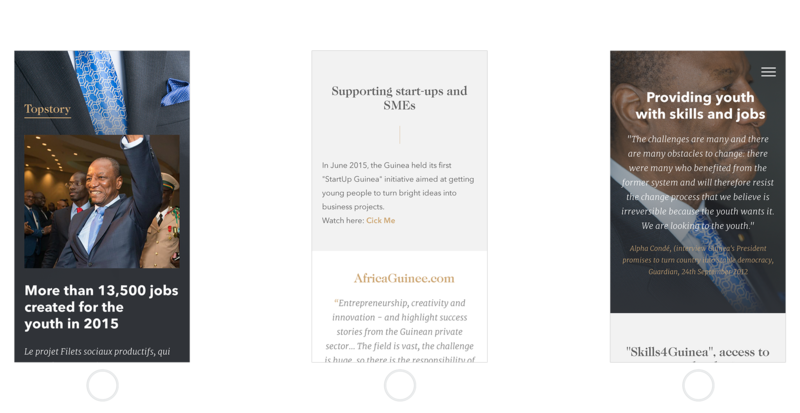 I had the pleasure to design the official website of the President of Guinea, Alpha Conde. The focus of the whole website was on his election program. The site should be a place for all residents of Guinea to get information about him, which things he will change when he wins the election race. In the end Alpha Conde won with 58% and has been the 4th president of Guinea. This work is by far one of the proudest project of me.